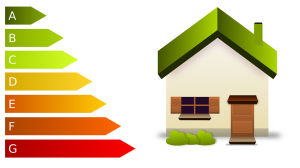 Home Property What is loft insulation and what are the benefits? A lot of heat escapes through your roof, up to 30% to be precise. Roof insulation is therefore a key part in any plan to improve your home. We have a competent and dedicated team with a good eye for detail that will ensure satisfactory insulation of your loft. The recommended loft insulation depth is 270mm and this will in turn reward you with a saving of up to £200-£600.00 on your heating bills and save 1 tonne of CO2 emissions annually. From increasing the value of your home to helping you conserve the environment, insulation is just one innovative way to make your home much more energy efficient at a price affordable to you. Loft Insulation grants may be available to a select band of residents, tenants or homeowners. A loft insulation grant is subject to qualifications such as whether you are on benefits, your age and so on. For those over the age of 60, there are several grants available, loft insulation grants, cavity wall insulation grants, and central heating grants. To see whether you qualify, please contact one of our advisors. When repairing or building new roofs, we recommend that you use materials of the highest quality to ensure a long lasting, leak proof roof. Whether you need roof tiles or EPDM rubber roofing membranes for flat roofs and extensions, make sure you choose premium brands like DuoPly for the best results. Choose a reputable roofing company for all building works. Online sites like Trustpilot are great places to find the best companies in your local area.